This beautiful bed highlights exceptional contemporary style and design. Showcasing a beautiful footboard, the bed features a tufted upholstered headboard with metallic leatherette fabric. All completed with a silver finish, this glamorous piece adds a flashy centerpiece to your modern home. 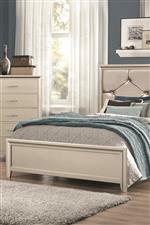 The Lana King Bed with Upholstered Headboard by Coaster from Nashco Furniture - Nashville. We proudly serve the Nashville, Franklin, Brentwood, Clarksville, Green Hills, Davidson County, Williamson County, Tennessee area. Product availability may vary. Contact us for the most current availability on this product. 205181KEB2 King Bed with Upholstered Headboard Box 2 1 0" 0" 0"
205181KEB3 King Bed with Upholstered Headboard Box 3 1 0" 0" 0"
205181KEB1 King Bed with Upholstered Headboard Box 1 1 0" 0" 0"
Drawer / Shelf Construction French dovetail drawer fronts and English dovetail backs. Drawer Suspension Center metal glides. The Lana collection showcases exceptional design. Featuring dovetail drawers with metal center glides, a headboard upholstered with metallic leatherette fabric and a silver finish, the collection's bedroom furnishings add a contemporary feel to your home design. Perfect for your modern home, these pieces will transform your home's style. The Lana collection is a great option if you are looking for Transitional furniture in the Nashville, Franklin, Brentwood, Clarksville, Green Hills, Davidson County, Williamson County, Tennessee area. 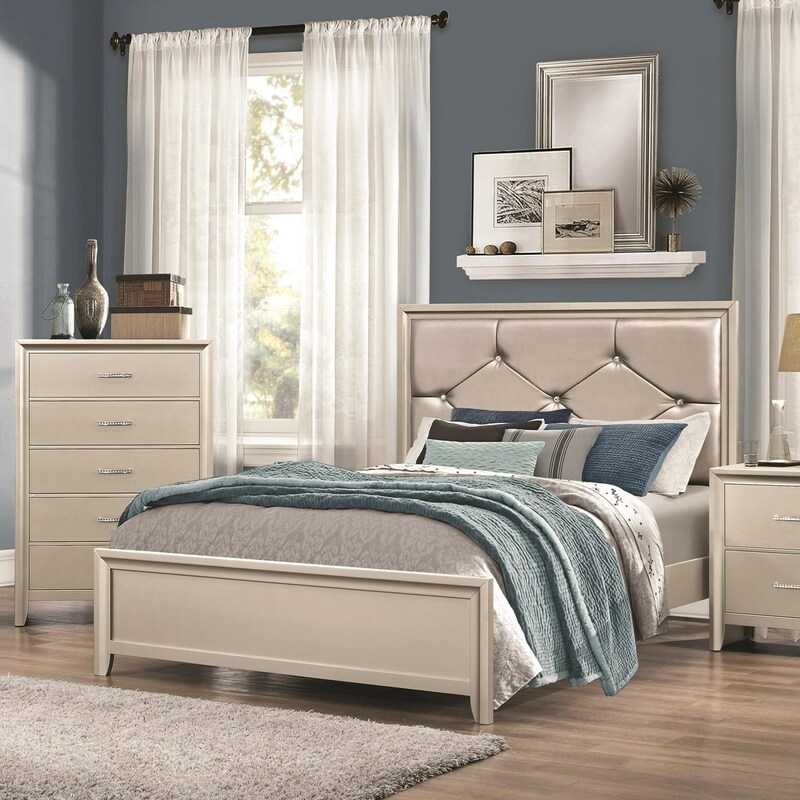 Browse other items in the Lana collection from Nashco Furniture - Nashville in the Nashville, Franklin, Brentwood, Clarksville, Green Hills, Davidson County, Williamson County, Tennessee area.